PGBS excels in offering Malay speaking call center services for diverse businesses to facilitate their expansion and enhance business revenues and outreach in Malaysia. Our trained and affable professionals convincingly pave the way for any business to strike new strategic alliances in the desired market space. PGBS’s Bahasa Malay call center can be customized in alignment with your exact needs. The wave of globalization has swept almost all nations across the world. Rapid industrialization and the resultant surge in demand for products and services of prospering economies like Malaysia offer your business ample opportunities to flourish. Wait!! Are you missing the chance because of linguistic barriers? Don’t worry!! PGBS will guarantee you to get out of this issue. Our native Malay speaking call center would help your business make its distinctive identity among niche customers who are willing to invest in your brand’s products or services. PGBS BPO Centers would help you bridge the language rift with prospects from Malaysia with strategic support tailored to meet your business’s peculiar needs. PGBS caters to all nations including Malaysia where other BPOs haven’t ventured out yet. Even for countries which are served by other BPOs, our call center support would stand out due to its intuitive professional touch which raises your brand’s credibility among potential customers swiftly. PGBS operated call centers are manned by professionals who are thoroughly acquainted with your business and its offerings. This helps them describe your services in a convincing manner to Malaysian prospects which make ideas resonate with leads optimally for driving better conversions. PGBS gives recognition to your business in any foreign land and render it competitive over niche adversaries. PGBS offer comprehensive and holistic support to cater to all your business related needs in Malaysian locations. We assure exponential growth in sales and profits for your business within the shortest span with our multi-lingual centers offering strategic BPO solutions. Entrust your complete Malaysia call center outsourcing related needs to us and stay confident. Diverse call center support at one roof. Turbocharge your business prospects in Malaysia with our professionalmultilingual support solutions. PGBS would always be on your side at your brand’s inflection point. Call us now to learn more about our Malay call center support services. Interviewing prospects and getting their feedback was something very critical for us as the new product we were planning to launch was of huge investment. So, we needed sincere professionals who could gather unbiased details from the target demographic segments. Managing emails is tedious, especially when you are in between a lot of other things. Also, wrongly communicating or making delays to reply can lose you customers. To avoid such issues, we decided to hire PGBS. They are providing us email support services for over a year now. Our company feels happy to work with you. We are glad with your data solutions that is meeting our changing requirements regularly .We would highly recommend Pro Global Business solutions to any organization looking for professional and cost effective data entry services. We get a lot of inquiries regarding our products, services and policies etc. This is the reason why we decided to outsource inbound call center services to some specialists. PGBS was recommended by one of our partners and I must say that these people are impressive till date. 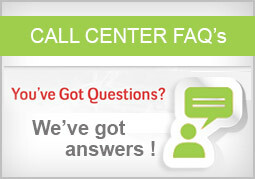 Why Choose Multilingual Call Center?